David is an experienced consultant specializing in anti-corruption, corporate responsibility, and sustainability assurance services. He is a former head of the Independent Accountability Mechanism at the European Bank for Reconstruction and Development (EBRD) where he worked within the Office of the Chief Compliance Officer, and the former Director of Standards and Collaborative Governance at the international non-profit think-tank AccountAbility, where he oversaw the development of the AA1000 Sustainability Assurance Standard. He has been an active contributor to the Global Reporting Initiative (GRI), a technical committee member for the AA1000 Sustainability Standards and was Chair of the Assurance Technical Committee for Social Value International (formerly SROI). David was also an expert member of the International Working Group that published the ISO 26000 Guidance Standard on Social Responsibility and ISO 37001 Anti-Bribery Management System Standard. 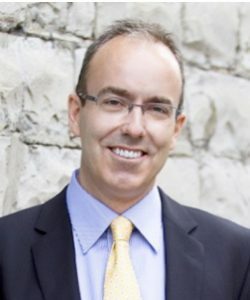 A former Executive Director of the Canadian Centre for Ethics & Corporate Policy, David has also served as an advisor to Environment Canada as well as to Natural Resources Canada on Ethics and Values in the Public Sector and was an independent researcher for Transparency International Canada. Most recently he served as a senior advisor to Canada’s CSR Counselor for the Extractives sector in developing effective rules of procedure for dispute resolution mechanisms in the mining and gas sectors – and assisted the Government of Mozambique to develop a national CSR framework which sets clear terms of engagement between the government, civil society and extractives sector companies to help mitigate corruption risks. David has also carried out projects with the World Bank, the European Investment Bank (EIB), the International Finance Corporation (IFC), the Inter-American Development Bank and the Association of Certified Chartered Accountants (ACCA), the UN Special Rapporteur on Business and Human Rights as well as conducted research with the Canadian International Development Agency (CIDA), and served as an expert advisor on social, environmental and governance compliance elements for the German development agency (GIZ) in Asia. He has also developed guidance for the UN Principles for Responsible Investment (PRI) on implementing the UN Guiding Principles of Business and Human Rights in the Extractive Sector and contributed to anti-corruption workshops for the UN Office on Drugs and Crime (UNODC). David has served as a lead independent non-financial auditor for a number of clients in in the banking, insurance, investment, consumer products, food and beverage, and mining sectors where he has issued public assurance statements in corporate annual reports. He has also been a social compliance auditor for a number of clients in the manufacturing, agriculture, apparel, and food and beverage sectors. David holds a Master’s degree in International Social and Economic Development from the Norman Paterson School of International Affairs at Carleton University in Ottawa. He is a former director of the Ethics Practitioner’s Association; a Senior Advisor on Governance and Anti-Corruption Tools and Measures for Transparency International Canada, a designated trainer with the Social Investment Organization (now RIA), and an active contributor to numerous standards on responsible business conduct. He has both Canadian and British Citizenship and has language capabilities in English, French, and Spanish. An international lecturer on Anti-bribery Management Systems on behalf of the ISO Academy in Geneva, David has facilitated regional anti-corruption workshops in Lebanon and Serbia. He has also led related seminars with the United Nations University in Tokyo and lectured at the University of Toronto, McMaster University, York University as well as at Oxford’s Saïd Business School and the University of Cambridge Programme for Sustainability Leadership. In addition he has conducted numerous seminars with such organizations as the Keidanren (Japan), the Conference Board of Canada, CIDA, DFAIT and L’Association québécoise de vérification environnementale. He has delivered workshops in Australia, Jordan, US, Canada, Malaysia, Mozambique, Japan, UK, Korea, Kenya, Sri Lanka, Taiwan, Mexico, Portugal, Tanzania, Thailand, Ethiopia, and Zambia. David speaks and works in English, French, Japanese and Spanish.